ZnO nanoparticles(NPs) with different contents of Ag dopants were obtained by one-step solvothermal method. The crystalline structures of the prepared composites were characterized by means of X-ray diffraction (XRD). The morphology and composition of the samples were studied by means of scanning transmission electron microscopy(TEM), X-ray photoelectron spectroscopy(XPS) and electron microscopy(SEM). Photoluminescence(PL) spectra have been used to investigate pure ZnO, Ag-ZnO and Ag-ZnO-PVP NPs to determine the effect of composition on PL properties. It was found that the Ag-ZnO samples showed stronger emissions than pure ZnO. The catalytic activity of samples was measured by the degradation rate of R6G, which exhibited that Ag-ZnO nanocomposite demonstrated enhanced photocatalytic activity compared to the pure ZnO NPs. The possible influence factors to the photocatalytic and antibacterial activities of the sample were explored, including Ag contents and dispersion. 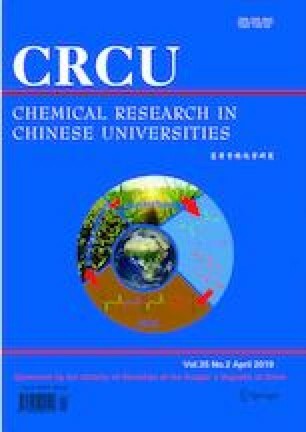 It was presented that the photocatalytic activity of Ag-ZnO-PVP was better than that of Ag-ZnO and it showed the highest photocatalytic activity with 7% of Ag content. The Ag-ZnO-PVP can kill the Escherichia coli(E. coli) cells. Supported by the National Natural Science Foundation of China(No.61308095) and the “Thirteenth Five-year Program” for Science and the Technology of the Education Department of Jilin Province, China(No.JJKH20180769KJ).